Lighting Technologies' ongoing collaboration with the Germany based and internationally reputed VDE (the German association for electricians) has resulted in numerous ENEC certificates. This guarantees that luminaires meet European safety related EN standards (EN 60598-1:2008 and EN 60598-2-2:1996). Lighting Technologies' continued commitment to product quality and excellence in the production process results in new certifications being added throughout the year. 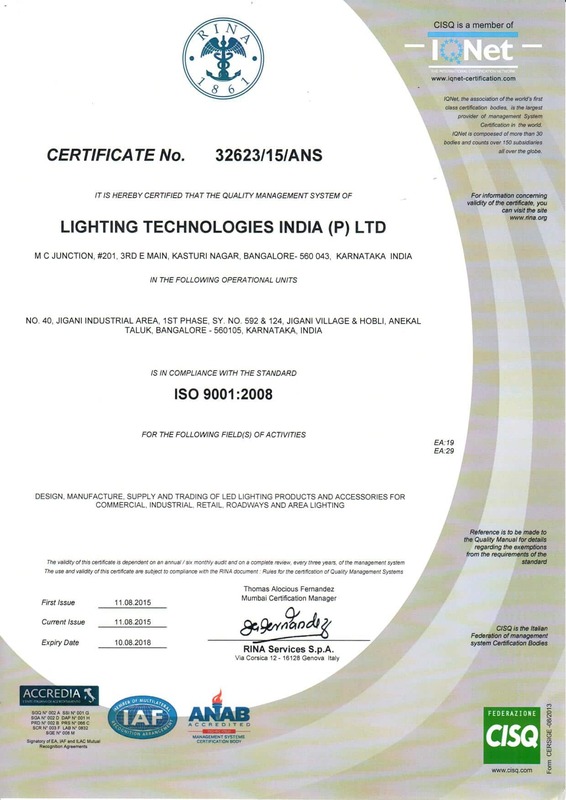 Lighting Technologies IGC is ISO 9001 Quality Management System Certified since 2008.